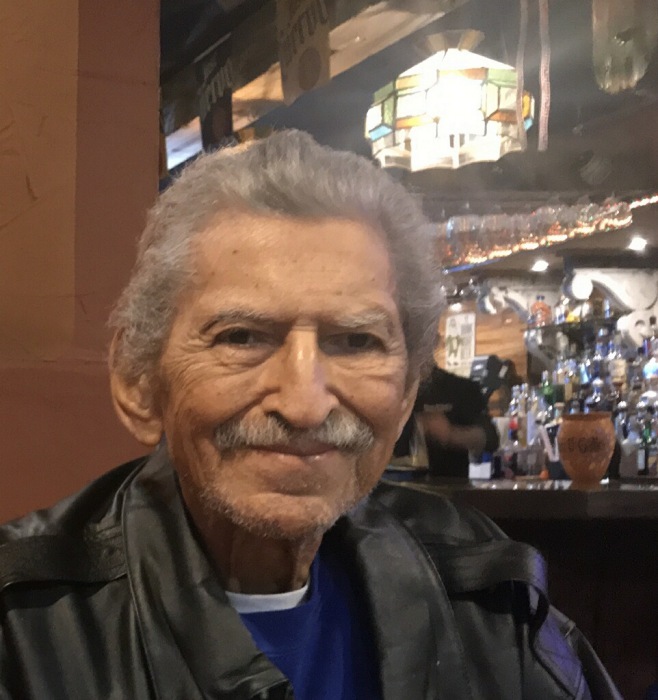 RODOLFO (RUDY) MARTINEZ HINOJOSA, 85, of Greenwood, Indiana passed away on Tuesday, October 30, 2018.He was born in Martindale, Texas to the late Simon and Juanita Hinojosa. He is survived by his loving wife, Peggy of Greenwood; sons, Robert (Mary) of Vancouver and Rudy Jr (Ann) of Williston; Stepson Christopher Dyer (Lori) of Tulsa; nine grandchildren and 13 great grandchildren and his beloved cats Simon and Oliver. He was preceded in death by his son , Michael, brother Simon, and sisters Elida and Maria. . He spent over 50 years in the bowling industry -- managing, owning and building centers throughout the Untied States. His passion for bowling was matched by his love for the bowlers and employees. He even managed to bowl six 300 games in his lifetime. He was member of the Elks Club for over 50 years.